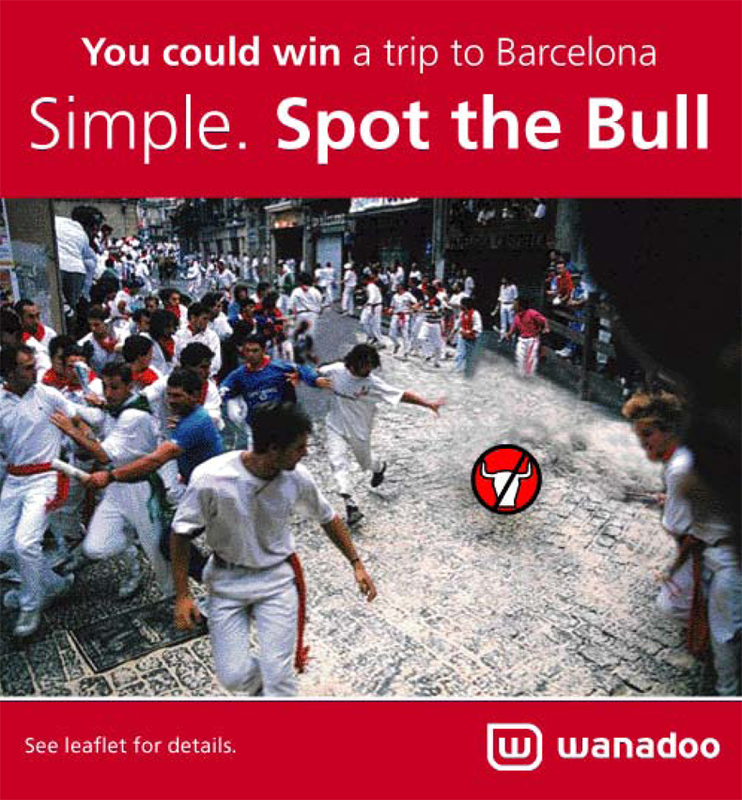 Wanadoo is the former name of the ISP division of Orange SA, which is a subsidiary of France Télécom. It operated in a number of European and north African countries but ceased to operate on 1 June 2006, when it was replaced by Orange. 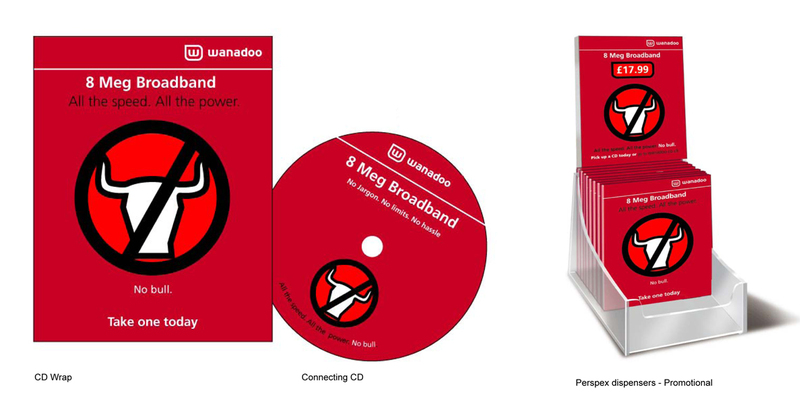 The task was to design the packaging and promotional material for Wanadoo’s internet service. It had to feel strong and distinct in order to cut through the competitive market it was entering. 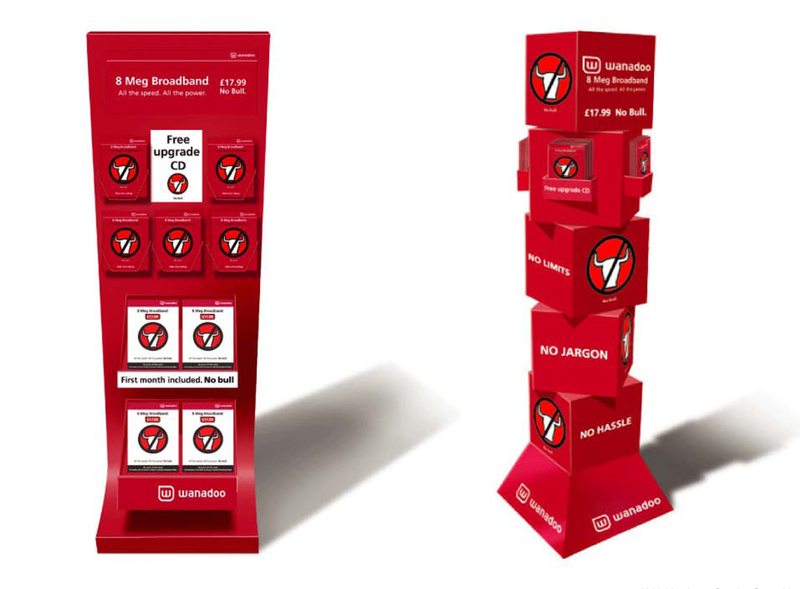 Wanadoo saw itself as a creative organisation that was in touch with the market. 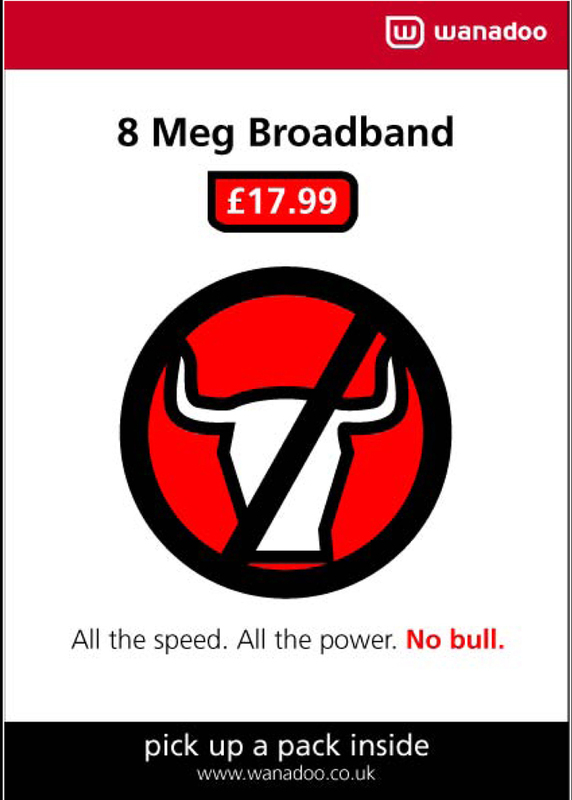 This gave room for a simple but clear concept, expressed by the following examples.